Clean water is a growing scarce natural resource throughout the world, none more so than in the Middle East where governments and water companies need to reduce wastage and consumption and optimise associated energy use. In one city once famed for its abundance of natural water, demand was placing pressure on the existing water storage and supply infrastructure. A distributor for GI Tech, a regional office of Invertek Drives Ltd in the United Arab Emirates, was appointed to identify and implement a solution. This would use the Optidrive Eco with Optiflow. “The project requirements were demanding and challenging. Our distributor was commissioned to build a new water station capable of reducing water wastage while maintaining low energy costs,” said a spokesperson for GI Tech. 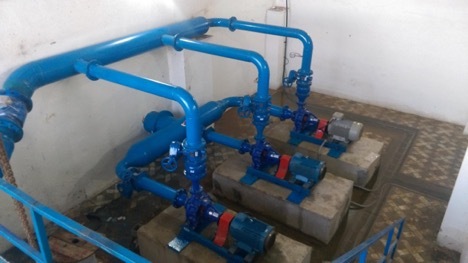 Based on the current and future population growth in the city, the distributor developed a new pumping station that would use a single water supply into the city’s pipeline, optimising and controlling the flow intelligently based on consumer demand. It uses four Optidrive Ecos using Optiflow technology to provide a single optimised flow. “Optiflow allows more than one drive working together to ensure an optimised flow. The first Optidrive Eco is the master and the other three are slaves. The master controls and commands the slaves with their speeds and run times. The system is controlled intelligently based on consumer demands using the internal PID function of the Eco drives. The resulting continual output flow guarantees no overshoot occurring and the system is never under stress mechanically, ensuring savings on any wear and tear or downtime. It consists of four 22kW Eco drives. The first one delivers water from a well to a storage pool using a submersible 22 kW pump. 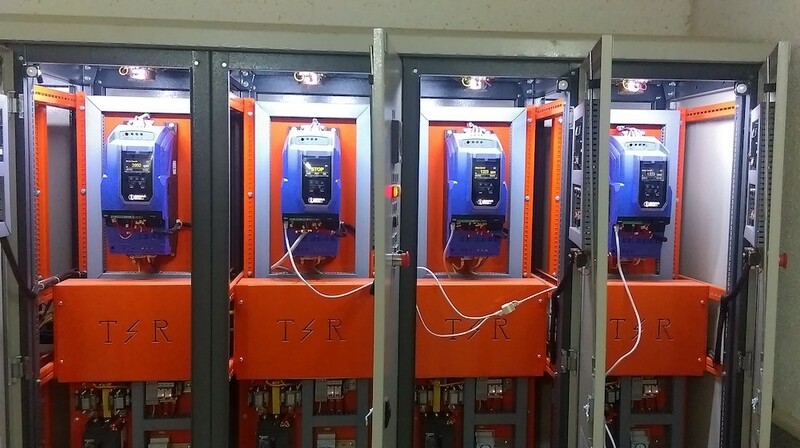 Then, using three 18.5 kW centrifugal pumps controlled by the remaining three Eco drives working in Optiflow mode, the water is pumped to the city pipeline. Explaining the system, Dylan Davies, Product Manager at Invertek Drives, said: “The output pressure is continuously measured by a pressure sensor and sent to the master drive. The master then intelligently sets the on and off condition and speeds of all drives based on the internal PID and Optiflow functions. This results in lower energy consumption and wear and tear, extending the life of the motors. The system is also never shut down as if a drive is out of service, operation transfers to another. The drives also detect and clear pump blockages, provide dry run and burst pipe protection. The result is an optimised water supply ensuring no wastage, reduced costs and maximized savings. More information about the Optidrive Eco and Optiflow technology can be found at http://bit.ly/2I8mrRF.